Beneath the surface of New York City, hundreds of pounds of trash are thrown onto subway tracks each day. The evil fashion mogul Mugatu is transforming this trash into high fashion in his new clothing line Derelicte, but at the expense of thousands of underpaid Malaysian child laborers. When the wage-hike supporting Prime Minister of Malaysia comes to watch the fashion show, Mugatu tries to brainwash the really, really, really, really, really ridiculously good-looking model Derek Zoolander to kill the Prime Minister, but Zoolander's rival-turned-friend Hansel thwarts Mugatu's assassination attempt. Mugatu takes matters into his own hands, insulting Zoolander and trying to kill the Prime Minister himself. 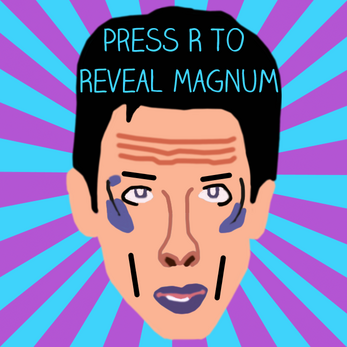 However, hiding just beneath the surface of Derek Zoolander lies the one thing that stands between the Prime Minister and Mugatu's branded shuriken: Zoolander's ultimate look, Magnum. Controls: Type the letters as they appear on screen! 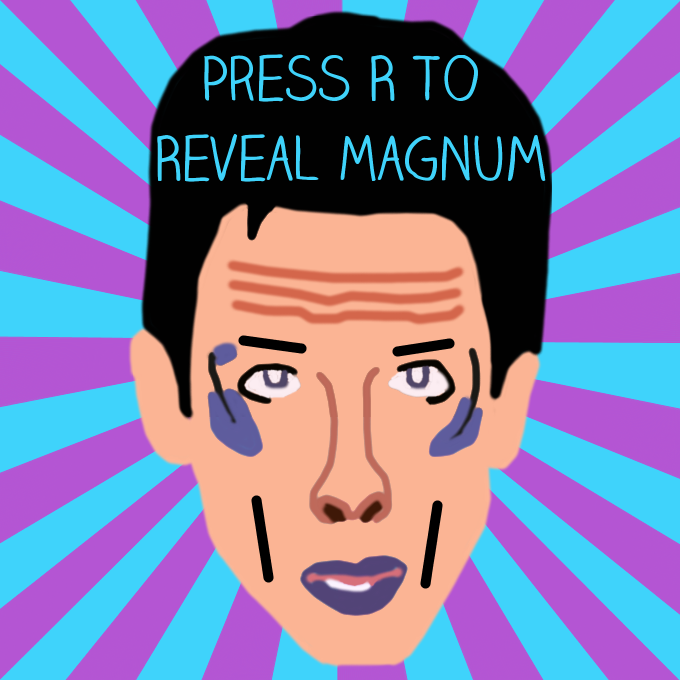 Extract the ZIP file, then double click on "Magnum.bat"